These cute FREE Fall Number Mats are great for helping kids to develop their number sense. 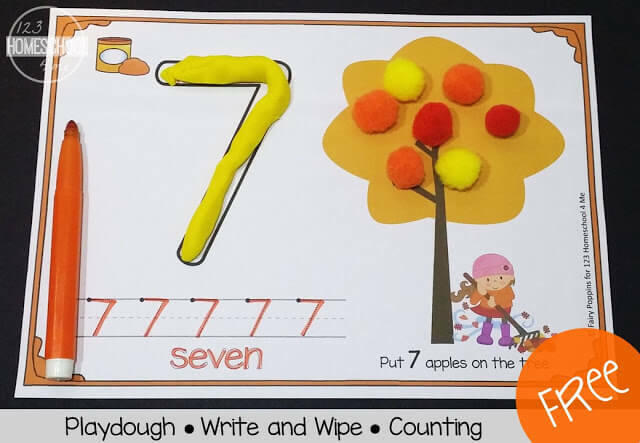 These FREE Fall Number Mats are so much fun for kids to practice counting, forming numbers with playdough, and tracing numbers. Included are numbers 1-10. 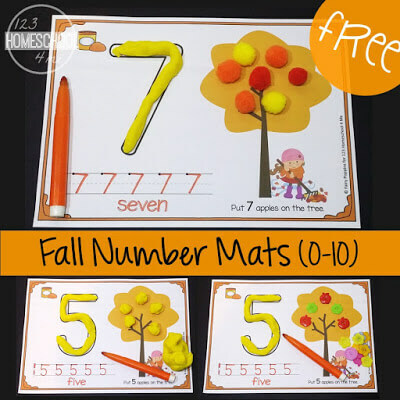 Print and use a laminator to prepare these fall number mats. If you don’t have a laminator, simply place the mats in a clear sheet protector. Choose one number mat to focus on at a time. Talk about the number and then get the kids to trace the number using an erasable marker. I prefer to use regular washable markers because they can be wiped off easily with a damp cloth. 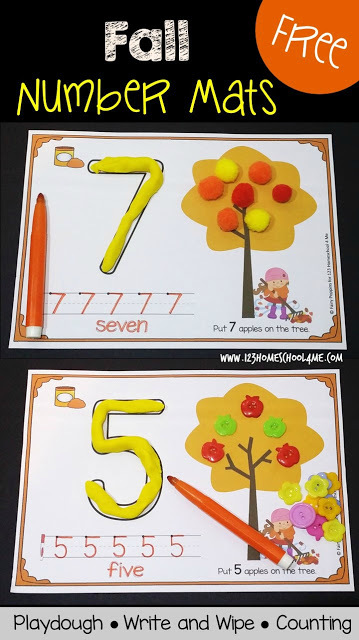 After that make the number with playdough and count that number of apples for the tree. You can use a variety of materials to make the apples for the tree. Some of my favorites are playdough, pom poms and buttons. I found some cute apple buttons at a discount store, but regular buttons work just fine too.